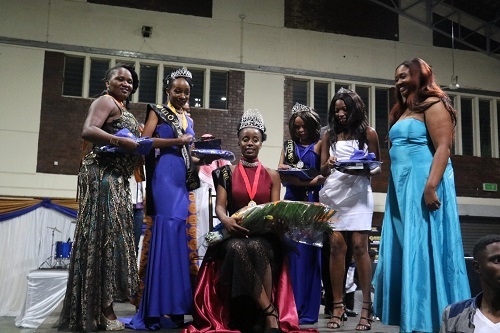 The Miss ZOU 2018 pageant was the icing on the cake for the recently held Zimbabwe Open University (ZOU) Vice Chancellor’s Games. It was also the second time in the history of the games that the event was hosted as a closing ceremony for the tournament. Harare/Chitungwiza Regional Campus contestant, Eustas Gomba, was crowned Miss ZOU 2018, shrugging off stiff competition to beat 14 other contestants. Sithokoziso Mangazha from Matabeleland South Regional Campus was the first princess while Ashley Tinotenda Mlambo of Harare/ Chitungwiza Regional Campus was voted second princess. Midlands Regional Campus contestant, Cardy Tafa, was voted Miss Personality. For their sterling efforts, all the four contestants won cosmetic hampers from Black Opal, and cash prizes.